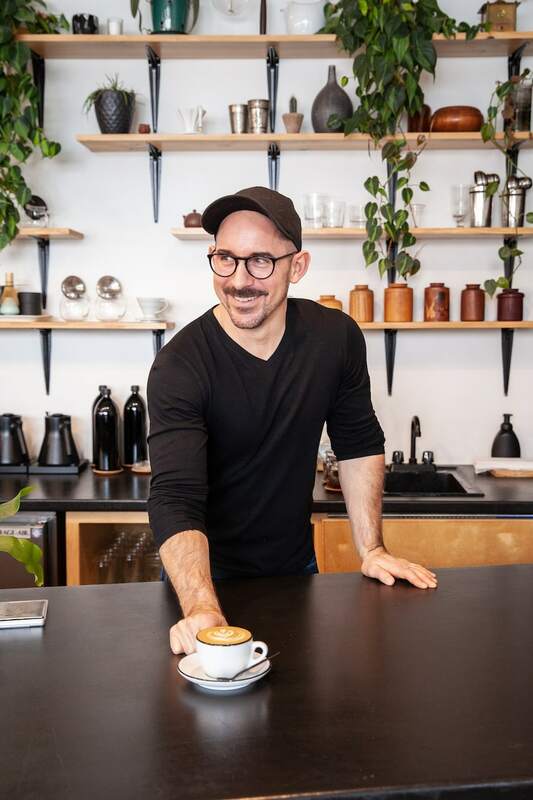 Northport native and award-winning barista Chuck Korson launched BLK \ MRKT, Traverse City’s hippest coffee house, in 2015. Chuck came up in the restaurant biz and completed the first stage of sommelier training before settling on coffee as his medium of choice. We sit down with him over a deftly brewed cup to talk coffee virtuosity. How to know if we’ve stepped into a legit coffee shop? Order a cup of brewed black coffee. It doesn’t require any special equipment but really great filter coffee means they’re using fresh, high quality beans and good water. Coffee is essentially water so purity is important. Let’s talk beans. Are there any regions that we coffee addicts should be paying attention to? Our program tries to highlight coffees that don’t get a lot of representation elsewhere and we work with importers who can give us an intimate picture of the people and places behind them. Right now we’re loving a biodynamic coffee from Brazil. Also look to Burundi and Rwanda for really interesting coffees. Espresso, what’s the difference between good and great? Good espresso is balanced and inoffensive. Great espresso is as complex and mind-blowing as a great glass of wine. BLK\MRKT makes some stinking delicious baked goods. Follow the shop on Instagram for tempting photos. From pulled shots to pour overs, these independent cafés/roasters sling quality brew and beans to get you through the day. Traverse food and drinks editor Tim Tebeau writes from Petoskey. Dave Weidner is a freelance photographer based in Traverse City.